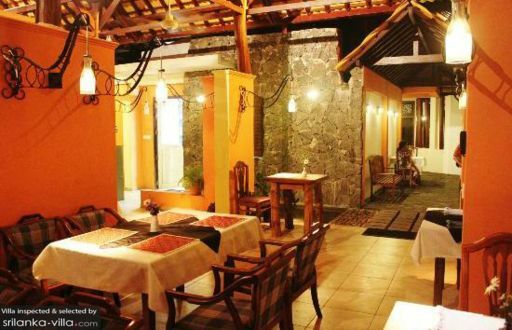 Selected Villas for rent near Tusker Restaurant (Sri Lanka) - Contact us now! Tusker Restaurant dishes up a fine selection of popular seafood dishes, such as the tuna steak, seafood platter and mullet fish, as well as Western mains, Sri Lankan fare and desserts. The contemporary design and warm lighting lend a cosy and inviting vibe to the restaurant.